With an extremely easy maintenance routine and installation, the Magnum Force Stage 2 Si for the E9X M3 is one of the most convenient cold air intake systems on the market. Its sealed housing delivers 29% more cold air to your V8 than your vehicle’s stock configuration. A custom CAD designed housing made from heat soak resistant cross-linked polyethylene is used to reduce the number of components and ensure the coolest air intake charge available. This black vacuum formed cover is constructed from ABS plastic and features a built-in sight window, providing easy inspection of the air filter while maintaining a stylish appearance. This carbon fiber look trim cover is constructed with lightweight vacuumed formed ABS plastic for a sleek appearance. 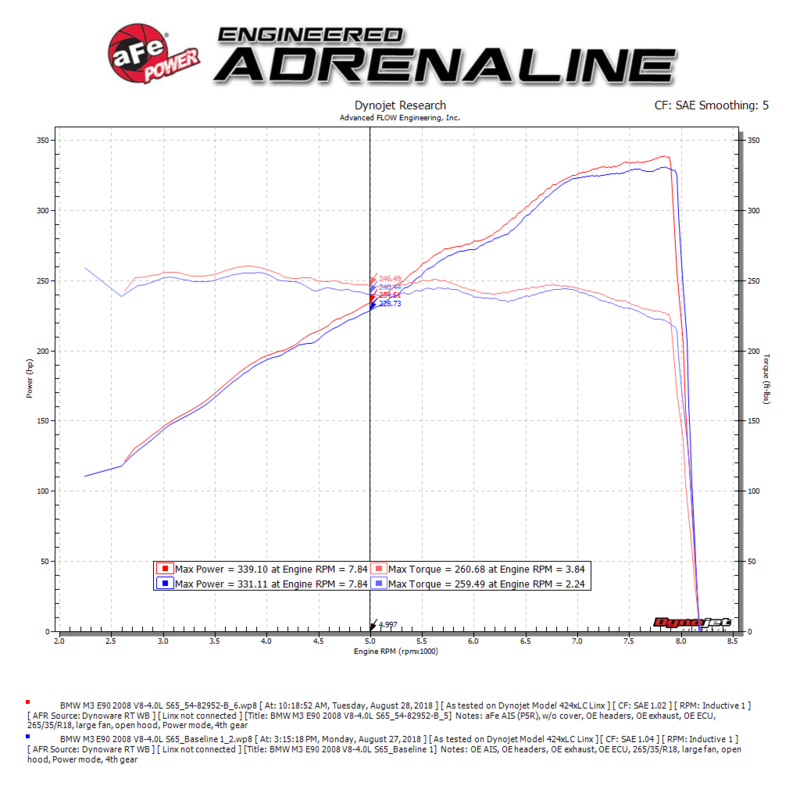 This aFe Power Pro DRY S, 6-1/2" tall, oil-free, 360 degree radial performance air filter features three layers of progressive synthetic media. The washable and reusable filter is surrounded by a 100% polyurethane frame, allowing for multiple cleaning cycles and an extra long filter life. Stainless steel clamps, a silicone coupler, and a silicone hose are provided for strength and durability while also providing the most secure installation available. 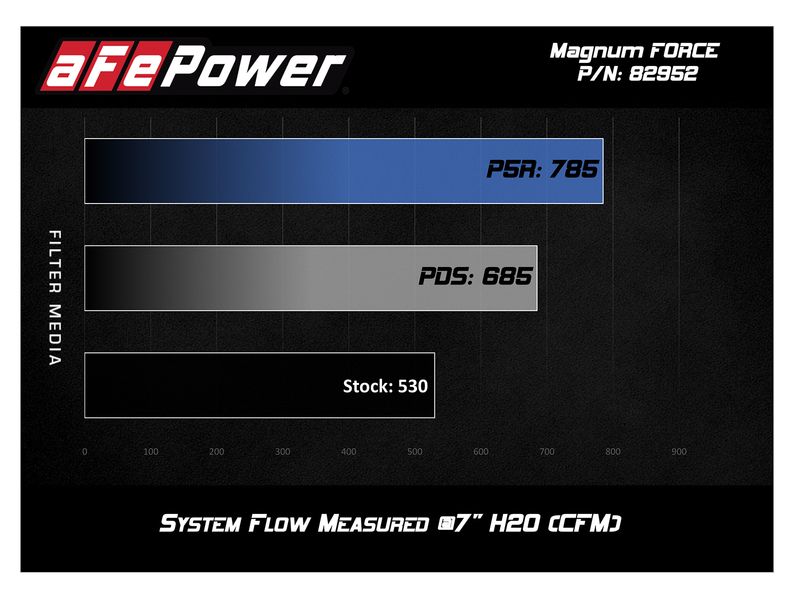 Magnum FORCE Stage-2 Si intakes are designed with fewer parts for a fast and easy installation. With a unique filter-to-housing interface and minimal parts, this system is a breeze to install.